Young refugee men have difficulties starting their new lives in Germany, with the media often portraying them as violent aggressors. A study finds that they not only have psychological trauma from surviving war and persecution but also face fresh mental health issues linked to a failure to integrate into society. Since refugee arrivals in Europe peaked in 2015, the majority of people coming to Germany as refugees and migrants have been young men from the Middle East and Africa. Almost 70 percent are male, according to the Federal Office for Migration and Refugees (BAMF), and the vast majority of them are young. In 2015 alone, 71 percent of applicants were under the age of 30, and roughly one third were under 18. While many refugees received a relatively warm welcome, attitudes toward young male migrants have changed over time, chiefly due to the events on New Year's Eve 2015/16, when a series of sexual assaults took place in the city of Cologne and elsewhere on a grand scale, with over 1,200 women reporting attacks by foreign men. 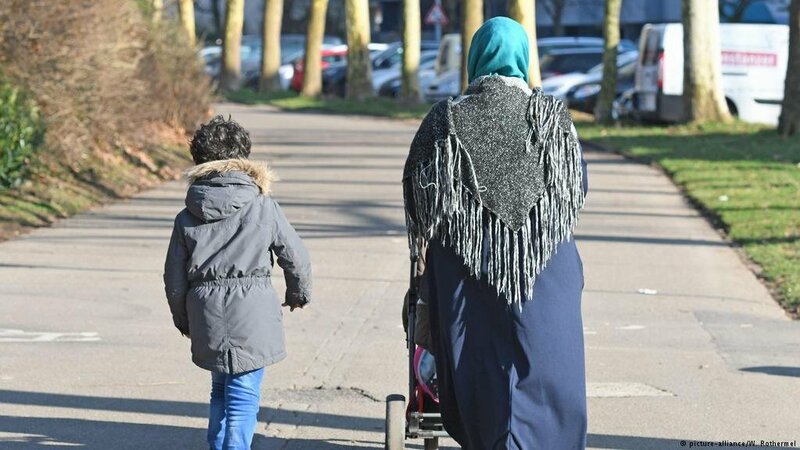 Young male refugees and migrants have, in turn, since reported that they experience disproportionate discrimination in everyday life as foreigners in Germany. 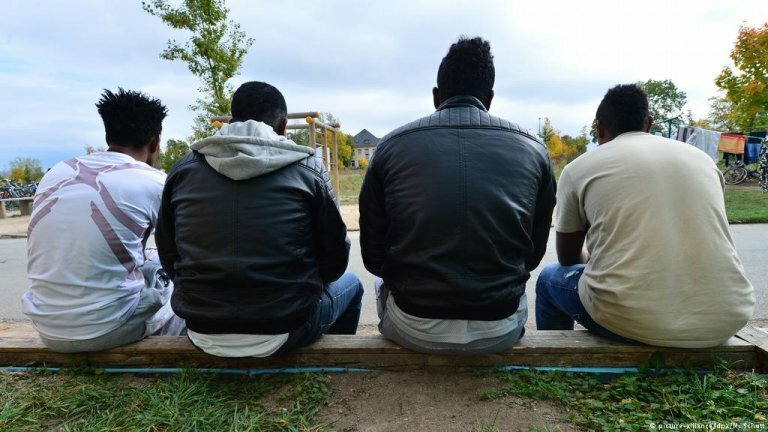 A study published by the Federal Forum for Men looks deeper into the psyche of refugee and migrant men living in Germany, examining what factors drive them and how their overall mental health measures up. The study took place in six different locations across Germany over six months in 2017, and builds on qualitative interviews with 85 male refugees and migrants, mainly from Syria, Afghanistan and Eritrea aged 13 to 34. At the time of the study, the young refugees and migrants had spent on average 19.5 months in Germany. The refugees and migrants interviewed for the study felt a great deal of disillusionment and disappointment in their new lives. Many felt that, having fled war, persecution and other forms of terror in their home countries, they encountered more indirect forms of anxiety and fear in Germany. While seeking to build a better future in Europe with "security, protection against state arbitrariness, imprisonment and threats to their physical integrity" being guaranteed, they encountered unexpected hurdles. Some of those challenges were based on unrealistic expectations of their new lives due to "promises made by 'smugglers' and a fantastical ideal of Europe circulating in their home country, where everyone receives a house from the state and can quickly become rich." The study stressed that the refugees who made their own new, realistic goals benefitted from an overall improved sense of wellbeing, while those without a new vision for their future continued to suffer discontent and frustration in their lives. However, in general, all of the young male refugees and migrants who took part in the study reported various sources of dissatisfaction and disappointment. The report says that many refugees and migrants feel that they suffer a negative reputation. They say they have difficulties making friends with Germans, not only because of the language barrier but also because of certain prejudices against them. "They often have the impression that they are not seen as individuals, but are prejudged as members of the group 'violent refugees,'" the document reveals. For example, it cites 20-year-old Hany from Eritrea as saying, "If I always see bad things about refugees in the media, how can I make friends with them?" Some have reported instances of xenophobia and racism, while others said they had internalized fears of being rejected, and avoided certain social situations because of this. Many said that they especially suffered with the stigma surrounding young male refugees and migrants around women resulting from the events of New Year's Eve 2015/16. Many reported anxiety when dealing with women – which, the report says, results in their remaining single for the long term: "Over 80 percent of the young men interviewed were single and childless. Many of them also want to get in contact with women of the same age. But the negative image attributed to them when it comes to dealing with women, and in some cases racially exploited, is well-known to the refugees and makes it more difficult for them approach other people in an unbiased way." Raising a family is a high priority for many of the young men surveyed for the report. However, this endeavor often fails not only because of the initial step of encountering and meeting eligible women being such a great difficulty for them, but also because they find themselves unfit to fulfil their expected role as breadwinner of a household, as is still typically expected of male gender roles in many other cultures. Peter, 30, from Nigeria is quoted as saying that he feels he has "to marry, have children" because "I am a man," but feels unable to take any step in that direction because for the past two years, he's been unemployed. "With this actual life I actually have, I can't do that," Peter said. However, even those with families reported suffering mental stress, as they try to adapt to new gender norms and expectations; "The learned demands in terms of masculinity are often difficult for men to fulfil in the new environment," the study says, adding that there have been reports of domestic conflicts. It also highlights disappointment and disillusionment in cases of family reunions that have been dragging on for years. 21-year-old Jazim from Syria told the researchers that he had expected his family members to join him much sooner: "I thought that after a year and a half, my family could come here from Syria. I have three siblings plus my mother. But I was wrong. I don't believe I will see my family." A number of social pressures are compounded by problems that come with being a refugee or migrant. Many of the men reported issues with the housing situation, as women and families get preferential treatment and young men remain in collective housing such as dormitories for long periods of time, where they often lack privacy and places to retreat. Azouz, 22, from Somalia said that he suffers from the living conditions of his dorm. "After school I want to go home and sleep. And there's loud music in the whole building, and it smells of grass (marijuana)," he complained. 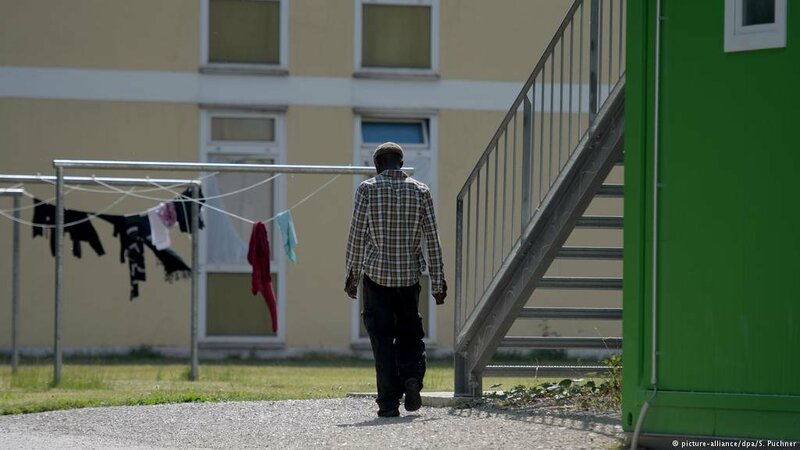 Like Azouz, many refugees and migrants said that they wanted independent living arrangements to alleviate some of the psychological stress they encountered in their accommodation. Many also told interviewers that drug use and crime in such facilities contributed to their sleepless nights. The young refugees and migrants also reported that access to the job market was key to their happiness: "Most men are highly motivated to work or study in Germany. They want to build on their previous education and make a living independently. "But their needs in terms of literacy, school attendance, training, and work are very different," the study said, highlighting that many experienced disappointment due to difficulties and setbacks in reaching their career objectives. "Frustrations are inevitable, as they often lack (…) the basic structural knowledge needed to find a way around the German education and vocational system and successfully integrate into the labor market." All these factors paint a dark picture of the typical psyche of a young male refugee and migrant, not to mention the leftover trauma of war and oppression from their countries of origin and the negative experiences of their journeys to Europe. 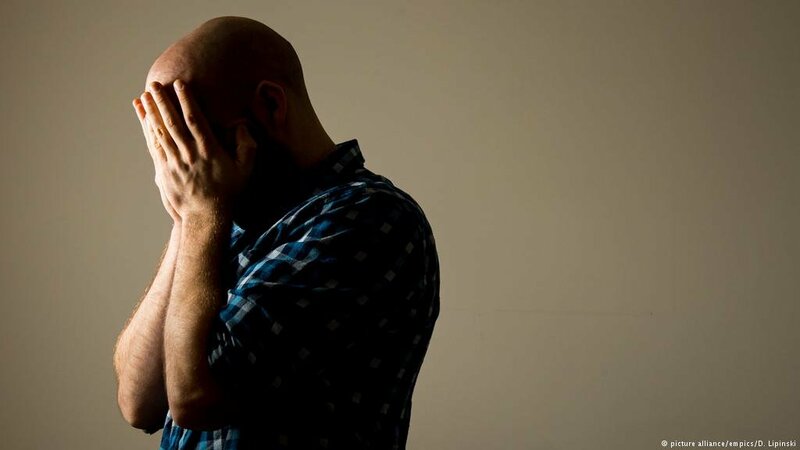 Mental health issues are very common among young men, however, they rarely receive treatment. 26-year-old Mohsen from Syria said that mental health is a taboo subject for him back home. "In our countries, it is dangerous to speak of psychotherapy. People think you must be crazy when you speak of such things. But here, it is different. A lot of people need help. We also need help. Not just us, everyone. … But I would never dare to openly tell the people that I stay with at my accommodation center that I need such a doctor, a psychologist. They would think I'm insane," he explained. 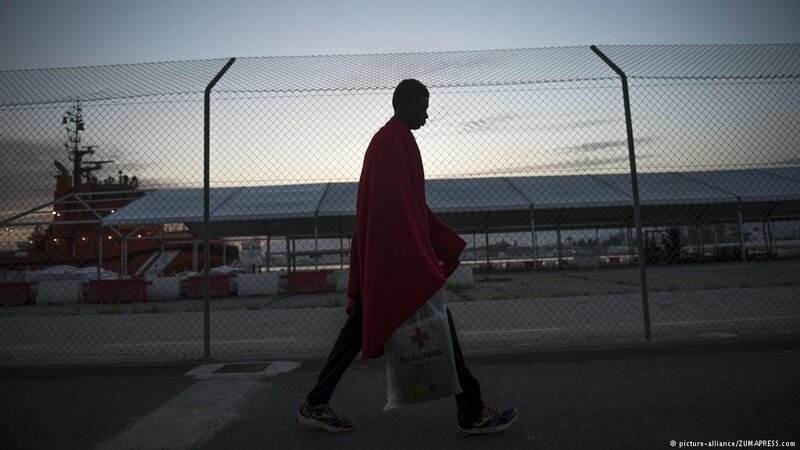 Overall, the report finds that a major barrier to therapeutic aid for many men is "the stigmatization of mental health problems in their countries of origin," suggesting that refugees and migrants should be seen in a different light. Rather than violent perpetrators, they should rather be regarded as victims of difficult circumstances who deserve "an empathic view in politics and society." "The situation of young male refugees is one involving multiple transitions. Whether and how these are successful depends greatly on access to social participation, socioeconomic resources, and, last but not least, themselves." Ruhullah, 23, from Afghanistan says acceptance on all levels is at the heart of any refugee or migrant success story. "We're just normal people. We come here because we're fleeing from war. We just want to be safe here."